SlideshowWilliam Henry Jackson, Georgetown Loop Railroad, Colorado, ca. 1881–96. SlideshowWilliam Henry Jackson, Devils Gate Bridge, Weber Canyon, 1869. SlideshowWilliam Henry Jackson, The overland stage road between Ogden and Helena crossing the Beaver Head River at Point of Rocks ... by means of a plank bridge, 1871. SlideshowWilliam Henry Jackson, View in Corinne, Box Elder County, Utah, 1869. SlideshowWilliam Henry Jackson, Helena, Lewis and Clark County, Montana,1872. SlideshowWilliam Henry Jackson, A Montana ranch, comfortable if not elegant, and the home of many well-to-do persons engaged in mining or stock-raising, 1872. SlideshowWilliam Henry Jackson, Quarrying granite for the Mormon temple, 1872. SlideshowWilliam Henry Jackson, Hydraulic mining, near Virginia City, Madison County, Montana, 1871. SlideshowWilliam Henry Jackson, Teapot Rock, near Green River Station. Sweetwater County, Wyoming, 1869. SlideshowWilliam Henry Jackson, View down the Colorado from Mount Bross, Middle Park, Grand County, Colorado, 1874. SlideshowWilliam Henry Jackson, Mammoth Hot Springs, summit of Jupiter Terrace, looking north, Yellowstone, ca. 1871. SlideshowWilliam Henry Jackson, Head of Little Cottonwood Canyon, Utah, 1872. SlideshowWilliam Henry Jackson, Summit, cog wheel train, Manitou and Pike’s Peak Railway, Colorado, ca. 1900. SlideshowWilliam Henry Jackson, Tunnel no. 2, Wasatch group of Miocene tertiary, 1869. SlideshowWilliam Henry Jackson, Soda springs, on Bear River, Caribou County, Idaho, 1871. Every year the New York-based photographer Victoria Sambunaris takes extended road trips across America with a large-format 5×7 view camera. 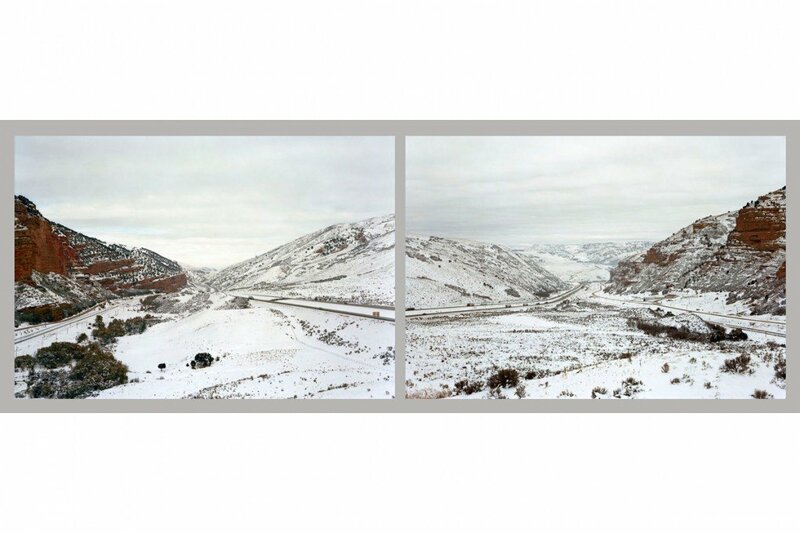 Although by now she has photographed nearly every part of the country, she devotes special attention to the West, focusing not only on the easy natural splendors but also on resource extraction and the vast infrastructure and transit networks that have enabled restless national expansion. In the portfolios that result, an image of an enormous strip mine might be followed by a spectacular view of a light-filled canyon and then a panorama of a truck yard filled with multi-colored shipping containers. The photographs evoke a sense of wonder at the scale of the landscape and an ambivalent awe at the scope of our presence in it. Sambunaris’s roaming, exploratory spirit, along with the fine balance her work strikes between the natural landscape and human activity, brings to mind the legacy of the 19th-century photographers who documented the westward expansion of the United States. Her work has particular resonance with the photographs of William Henry Jackson. In 1866, after military service in the American Civil War, the New York-born Jackson, then 23 years old, boarded the Union Pacific railroad and headed to the end of the line, in Omaha, Nebraska, where he established himself as a photographer. One of his first major commissions was documenting the West’s natural riches for Union Pacific. Soon after, Jackson became the official photographer of the 1871 Hayden Geological Survey, which played an important role in creating Yellowstone, the nation’s first national park. For decades, Jackson traversed remote regions of the West, on behalf of government surveys and private railroad companies, creating thousands of images, many using mammoth 18″x22″ glass plate negatives. William Henry Jackson, The overland stage road between Ogden and Helena crossing the Beaver Head River at Point of Rocks … by means of a plank bridge, 1871. Side by side, the two photographers’ work illuminates land use patterns that have been surprisingly persistent over the past century and a half. It also registers a dramatic change in the scale of human activity. Jackson’s railroad photographs, for example, typically show one or two cars and a locomotive, a set of spindly tracks snaking through the mountains, a bridge or tunnel that is clearly a major engineering achievement but is nevertheless dwarfed by surrounding landforms. Compare that to Sambunaris’s views of sky-blue semi trailers or red freight cars that fill the frame from edge to edge. Jackson’s 1871 photo of hydraulic mining in Virginia City, Montana, shows a half dozen men eradicating a hillside with a pipe that seems to discharge less water than a modern fire hydrant, a sharp contrast with the Lavender Pit copper mine photographed by Sambunaris, an immense space that shows off the dazzling play of light as if it were a cliff face above a wide river. The work of the two photographers shows both persistent patterns and dramatic changes in human activity over the past century and a half. Jackson photographed a frontier with seemingly abundant space and natural resources, and his photographs celebrate our ability to inhabit the land and use those resources to our advantage. Sambunaris is confronting a landscape that is no longer a frontier, its boundaries reached and its territories fully occupied. The beauty and openness of the western landscape is still evident in her work, which is perhaps why it shares with those 19th-century views an aura of limitless possibility. Her images make clear, however, that human activity has moved beyond human scale. They raise the question of how much longer we can follow the trajectory of the past century and a half, and what the limits of the western landscape really are. For related work on Places, see also Camino del Diablo, by photographer Mark Klett. Victoria Sambunaris is represented by Yancey Richardson Gallery in New York, Tops Gallery in Memphis, and James Kelly Contemporary in Santa Fe. 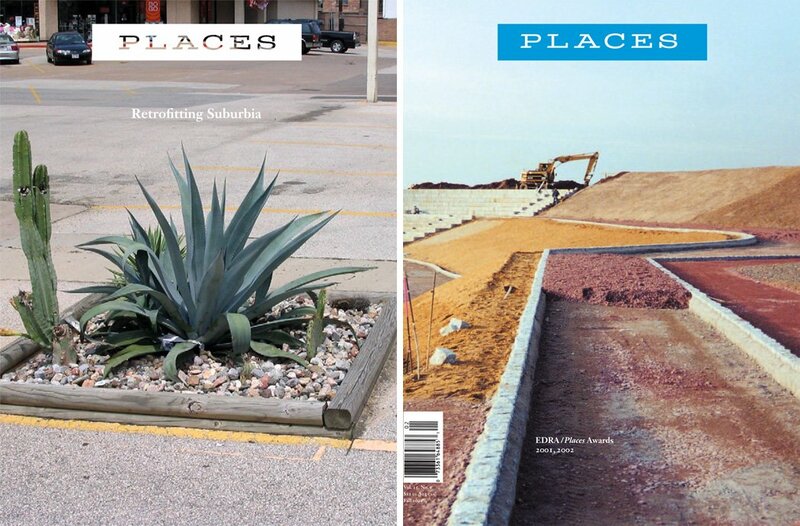 Her monograph Taxonomy of a Landscape will be published by Radius Books in September 2013. Without massive land-building, the Gulf Coast will disappear. LSU’s Coastal Sustainability Studio tackles the challenges of America’s Third Coast. The surprisingly diverse landscape around the new Hong Kong International Airport includes a giant pop-concert arena and an ancient fishing village. Architects like Frank Lloyd Wright, Ludwig Hilberseimer, and Andrea Branzi anticipated today’s interest in urban farming. Victoria Sambunaris is a photographer and a critic at the Yale School of Art. William Henry Jackson (1843-1942) was an explorer and photographer who documented the American West throughout the last three decades of the 19th century. He later traveled the world, photographing in the Middle East, India and Asia for Harper’s Magazine.